Vanguard or Fidelity: Which Is the Better Retirement Provider? Vanguard and Fidelity are both renowned in the investment world. Which is the better option? It actually comes down to something you may not expect. This article was updated on Sept. 22, 2016. 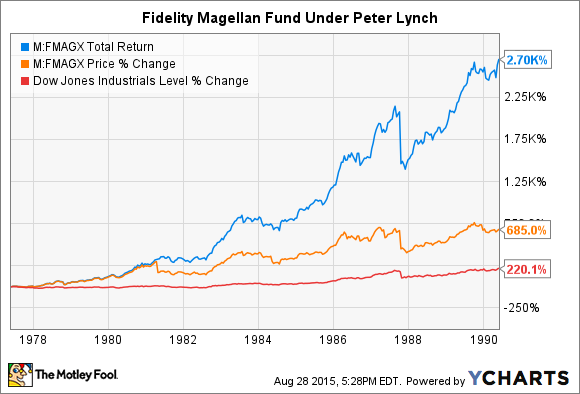 Vanguard and Fidelity are two of the biggest names in money management and investing. Between them, they have about $5.7 trillion in assets under management, making them two of the largest money-managers in the world. But which one is better? Do Vanguard's low-cost index funds win out, or does Fidelity, with its local offices, wide array of passive and active funds, and popular online brokerage tools win the day? It probably boils down to your priorities. Let's take a closer look at these two money managers so you can make an informed choice. 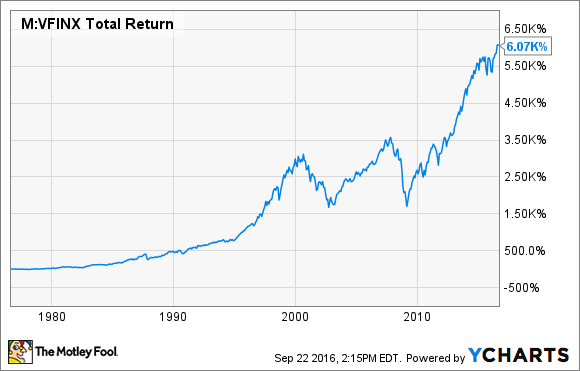 Since Jack Bogle created what is widely considered the first index fund -- the Vanguard 500 Index Fund -- some 40 years ago, Vanguard has become synonymous with low-cost, index-based investing. With $3.6 trillion in assets under management, the company is a dominant player in the investing world as the largest provider of mutual funds and the second-largest provider of exchange-traded funds. Not only does Vanguard offer an extensive selection of low-cost index funds, but it also has a selection of actively managed funds and has grown its offerings of index-based and sector-based ETFs during the past decade, allowing investors to purchase broad-based "mutual fund-like" investments on exchanges, just as they would buy individual stocks. VFINX Total Return Price data by YCharts. What separates Vanguard from peers like Fidelity, though, is how the company is structured. Bogle understood early on that the only advantage an index fund would have against a competing fund was being lower-cost: Every dollar in fees is lost performance against the index, and funds offering the same thing for cheaper. This is largely why Vanguard is structured in such a way that the company is actually owned by its funds. Or more accurately, Vanguard is owned by the shareholders of its funds. This immediately removes a layer of expenses from the equation, because most investment companies are privately owned or publicly traded -- meaning they have investors and owners who expect a cut of the profits. Vanguard, because it is owned by the fund owners, is only incentivized to provide the best-quality funds at the lowest costs it can. Fidelity, on the other hand, has largely built its reputation in active mutual funds, asset management, and financial advisory services. The company also has one of the most heavily visited websites, with one of the most popular discount online brokerages. Fidelity is also one of the largest 401(k) managers in the U.S., along with Vanguard, offering services to manage plans for employers for a fee. FMAGX Total Return Price data by YCharts. Fidelity has added more passive index-based funds to its offerings in recent years, but it still emphasizes its actively managed funds, especially as a way to diversify for investors. It gets down to what kind of investor you are and how active you plan to be with your portfolio. If you plan to take a "hands-off approach" and invest in low-cost index funds, it's pretty hard to recommend against Vanguard. If you invest with Vanguard directly, you'll have access to Vanguard ETFs without paying a brokerage fee, and if you're regularly investing new money, this can be hundreds of dollars per year in commissions you won't have to pay. Spread that over a few decades, and a few hundred bucks here and there can turn into thousands of dollars in higher returns. If you're taking a more active approach -- especially if you're buying stocks or a mix of mutual funds and ETFs -- then Fidelity is probably the better way to go. You'll still have access to Vanguard's mutual funds at the same costs you'd pay if you went through Vanguard directly, but you'll gain access to more secondary markets for investments like bonds, and probably end up paying lower total fees. When it comes to investment advisory services, the all-important first step is to find an advisor acting under a fiduciary standard, not a suitability standard. Simply put, people who operate under the suitability standard have no obligation to recommend investment products that are in your best interest, and they're allowed to operate with conflicts of interest. In other words, they can recommend products that pay them higher commissions, instead of competing products that may cost you less or offer better potential returns. Before making a choice between these two (or others you're considering), make sure you understand your goals and objectives and whether you plan to actively buy stocks or simply invest in low-cost index funds and stay out of the way. You'll also need to determine whether you'll want a pro helping you along the way. Only when you understand these things about yourself will it be easier to decide whether Fidelity, Vanguard, or another investment company entirely is best for your retirement funds.